In 1790, shortly after the French Revolution, Tallyrand appointed a commission to devise a uniform system of weights and measures. The original commission included the mathematician Laplace and the chemist Lavoisier, but due to the turbulent times they were purged, with Lavoisier losing his head. The surviving commission included the mathematicians Monge and Lagrange with Lagrange serving as president of the commission. There was considerable support for a base-12 system since 12 had more divisors, thus simplifying fractions, but the base-10 system was finally adopted; Lagrange is given much credit for the adoption of base-10 after (facetiously) proposing base-11. The original proposal included a decimal system for keeping time, but this was quickly rejected. France made use of the metric system mandatory in 1840. Today the metric system is universally used in science and has been adopted by most countries of the world. Those in Europe were the first to adopt, possibly due to Napoleon spreading its use, while countries in the British Commonwealth lagged. The United States legalized its use in 1866, but still has not adopted it, despite numerous committee recommendations and the passage of several laws designed to lead to adoption. In 1790, in the first Presidential address to Congress, George Washington proposed the establishment of a system of weights and measures. Jefferson suggested two approaches, one a reform of the English system, and a second using a decimal system similar to that then being studied in France. No action was taken. Many countries have issued stamps commemorating various aspects of the metric system. 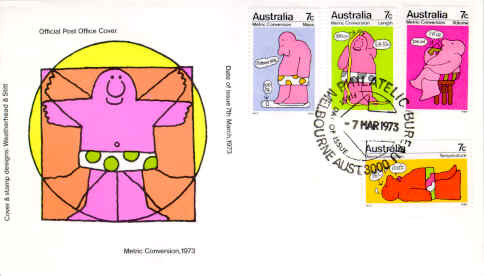 My favorites are those issued by Australia that appear on the following first day cover. Certainly they are the most humorous. 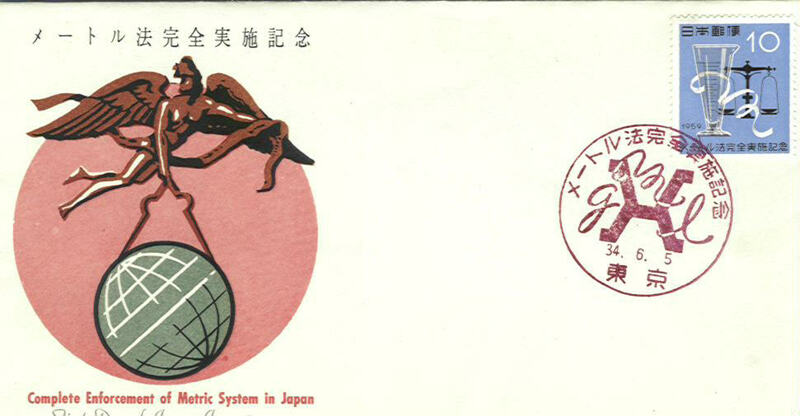 Japan issued the stamp on the following first day cover in 1959. 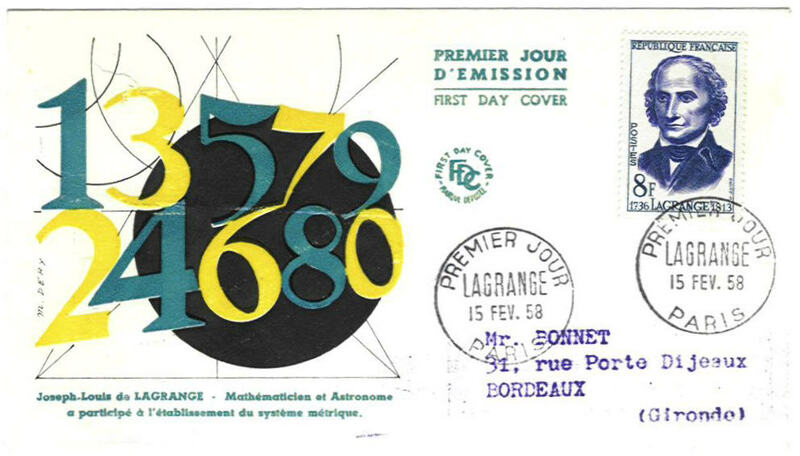 Inside the official first day cover envelope there is a card describing the stamp, including the printing and design details. 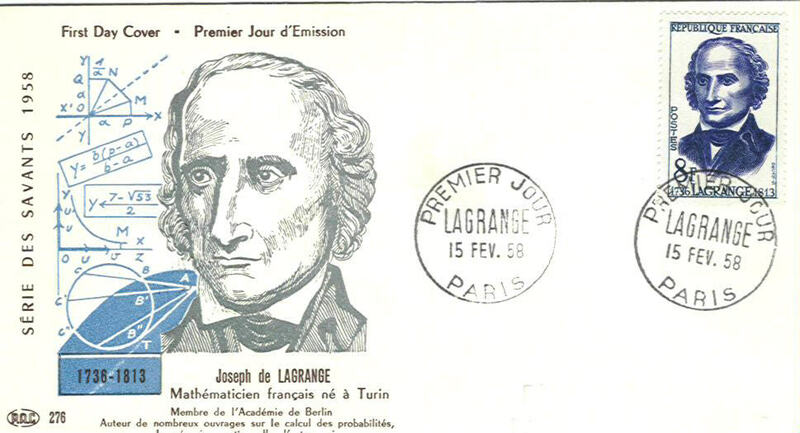 As noted above, Lagrange was the president of the commission that set up the metric system. 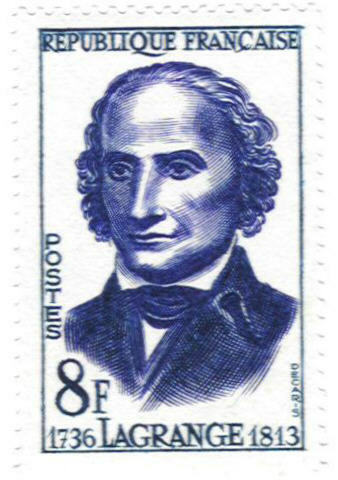 France issued a stamp in his honor in 1958. I have two different first day covers of this stamp. Here is the stamp by itself. 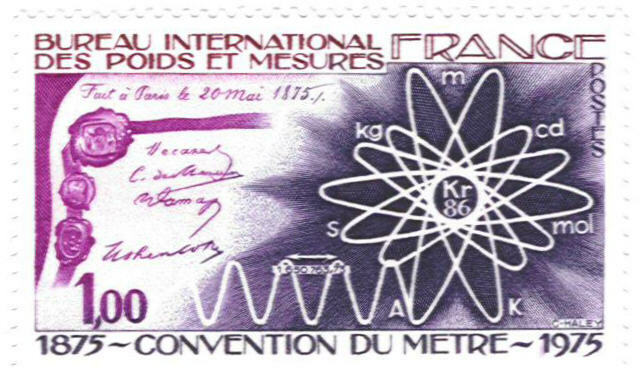 Here is another stamp issued by France commemorating the Convention of the Meter.